Are you ready to take your troop on an adventure? Why not expand their horizons with a troop trip? 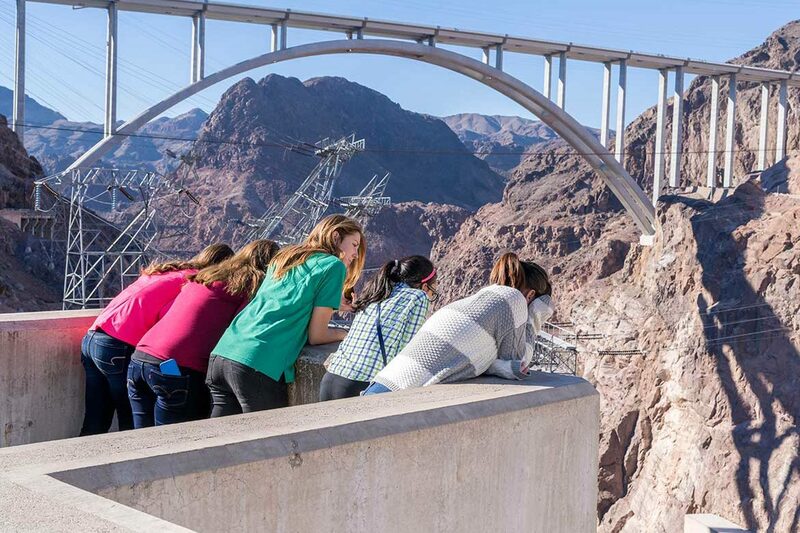 Girls have been exploring their world on troop trips for decades and with so many amazing events offered by our community partners, awesome overnight experiences and destinations to explore we know your girls will love this Girl Scout tradition! How do you start planning the trip? We’ve got you covered with some great resources to make sure your troop is ready to go! 1. Investigate the possibilities. Girl Scouts travel is built on a progression of activities—that is, one activity leads to the next. As girls grow in their travel skills and experience and can better manage the planning process, they progress to longer trips. Start with a short day trip outside your community, then try an overnight a little farther away, and keep on building. Not sure what is appropriate for your age levels? Check out Volunteer Essentials (pg. 55) to see our policy on trip progression, read through Safety Activity Checkpoints for information on council policies and safety standards, and review through the Trip and Overnight Planning Manual so you’re prepared to guide the girls in their choices. 2. Involve the girls. Share some of your research from Step 1 with the girls and have them look at their Girl Scout Journey books and Girls’ Guide to Girl Scouting for inspiration. Maybe there is an activity/badge they can build a trip around or want to include. The more girls are involved in the planning, the more fun they’ll have and the more skills they’ll grow. So ask them questions. Where do they want to go? What do they want to do? What’s their budget? Are they willing to plan 1-2 years out and save for a big trip? For older girls, you could break out into patrols and have girls brainstorm ideas for the trip. Come back together and compile a master list. 3. Make a Plan. Sift through ideas, decide on a trip and create your plan with the girls. Assign different planning responsibilities to different patrols—meals, activities, permission forms and transportation, etc. Always have a back-up plan; for example, in case plunging temperatures and April snow storms force your canoe trip to be cancelled. 4. Notify people. Inform parents, other adults and council, if necessary. Not sure when to notify us? If your activity location is over 100 miles from your regular meeting place or is high-risk, council notification is required. Communicate with parents and other adults working with the troop. Be specific in enlisting support-drivers, grocery shoppers, etc. Distribute necessary paperwork (Permission Slips, High-Risk Activity Forms, etc.) Submit a Troop Trip and Activity Notification Form to council, if required. 5. Go! Gather your adults, girls, supplies, drivers and go. Help girls to see the advantages of their pre-planning as the trip progresses. Perhaps have a “Plan B” in mind, in the event that things don’t go according to the original plan. 6. Reflect! Review the experience as it is happening and at your next troop meeting. During the activity, ask the girls open-ended questions about what they see, how they feel, what they like so far and so on. At the next meeting, continue to review by asking questions designed to make girls think. What went well? What was your favorite thing? What were the surprises? What could we do better next time? Are we ready to step up to a bigger trip? Do we want to try a different place or a different season of the year? This important step is where the girls learn, make connections, and evaluate their experience. Feeling confident and ready for an adventure? We certainly hope so, but if you have questions or need confirmation of a policy, please contact our Customer Care Hotline at 888.350.5090 or customerservice@gswo.org . Calls are answered Monday-Friday from 8:30 a.m. – 5:30 p.m. Have a wonderful trip with your troop!